In recent months I received a French tax demand, which I paid, but my friends say it cannot be right as my state pension and work pension are taxed at source in the UK. Are the French tax authorities within their rights to tax me as well? I.B. We have assurance vie contracts we have held for nine years. If we start to withdraw €9,200 per year as a couple, how much will be due in social charges and tax? I.S. I am considering selling my house en viager (to receive a lump sum and monthly payments until my death) but I’m not sure if it is safe or advisable. Should I speak to a notaire for advice and, if so, are some more specialised in this? Equally for estate agents? D.T. I will be moving to France soon. My income is pensions from the UK. Do I have to do anything in relation to the new at-source income tax in my first year? G.V. I turned 65 in 2018, do I pay for part of the year? I turned 65 in July last year. How do I show the taxman that for the first half of the year my income should be assessed for social charges but not the second half? D.L. As an independent worker in France, I believe I do not have any right to unemployment benefit, but that this is changing. When will it happen and how will it work? Is it definite? How will the amount we receive be worked out? J.S. I am an artisan micro-entrepreneur. I bill customers for labour and materials. I pay tax via the libératoire method quarterly. Do I have to declare the amount I am paid for the materials? How can I know the real number of protestors? Why is there often a difference in protestor numbers between what authorities and organisers say? 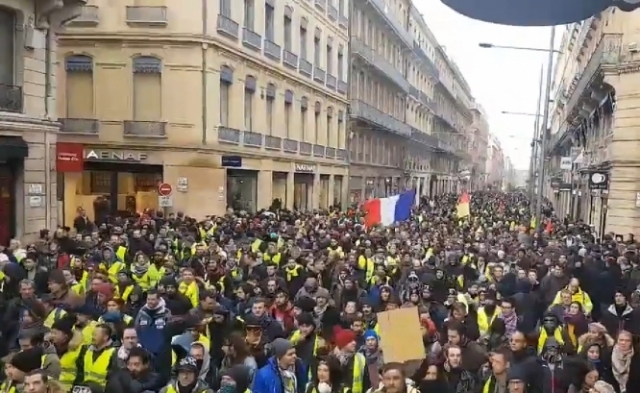 How can I find out route of gilets protest? 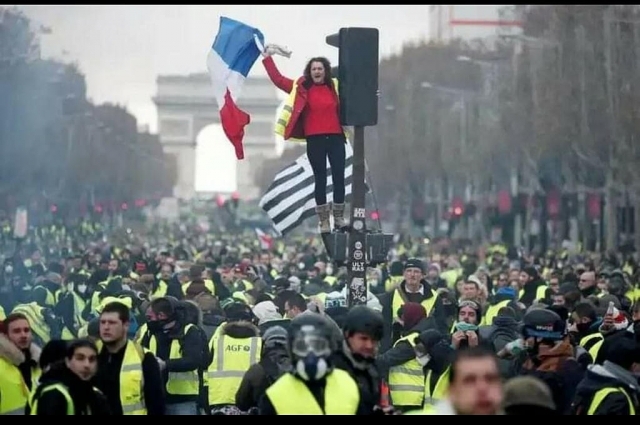 I am supposed to be coming to Paris from the UK on the weekend of February 15-18 but I am now unsure what to do because of the yellow vest protests. However I have just read your article which says that the numbers were fewer this weekend and also that they followed a prearranged route. What was this route and how would it be possible to find out that route in the future?